An ET NOW report said the group applied for the AMC license with markets regulator Sebi last week to enter into the mutual fund business. NJ Group's current assets under management are at about Rs 60,000 crore and the launching of MF business is a forward integration for the company, the report further added. The company aims to provide differentiated products backed by quant and technology. 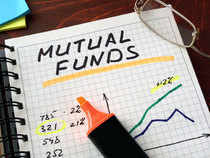 The group may initially launch ETF and Smart Beta related products for investors.